Whether you choose an island for its multi-functionality or simply want to incorporate a new design aspect to your home, there are kitchen islands to suit everyone. Kitchen islands are becoming increasingly sought after in kitchen design because of their diverse forms and functions. They utilise space more efficiently, creating more surface area for prepping and cooking meals. Many incorporate kitchen appliances such as the hob and the sink, or smoothly tuck away the dishwasher, bin or extra storage, while others are used for housing wine or transforming the island into a bar zone for entertaining. The kitchen island can even become the focal point of a kitchen if given contrasting shape, colour or finish to the rest of the room or by adding statement pendant lighting. Islands also play an important role in defining space. 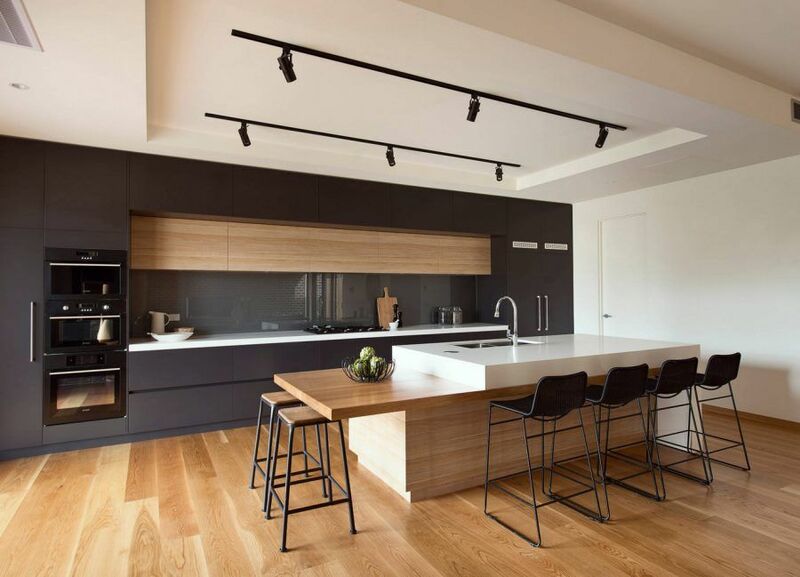 They can create a division between cooking and dining areas in the kitchen itself, or between living and dining areas within an open plan living area. A shaped island can also help to direct the flow of traffic away from busy hot spots. Most importantly, kitchen islands can revolutionise daily living and entertaining in the home; the cook is able to be at the centre of the action instead of being cut off, and informal dining areas are created with the incorporation of a breakfast bar which can double up as a paperwork or homework station when not in use at meal times. They have become the social hub of the home, where guests and the family congregate at all hours of the day. At The Used Kitchen Company, many of our kitchens come with feature or functional islands, so everyone can have their dream kitchen island at an affordable price.